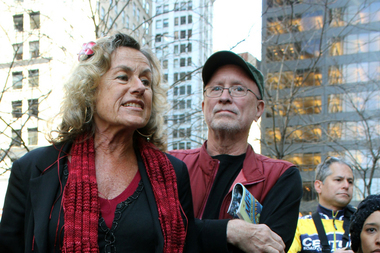 Bill Ayers will launch on Tuesday a new series of political talks and interviews he's calling "Fresh Ayers." HYDE PARK — Bill Ayers will launch his new series of talks, “Fresh Ayers,” on Tuesday at the Seminary Cooperative Bookstore with a discussion on how the antiwar movement changed after the Sept. 11 attacks. Heany’s book explores how the antiwar movement collapsed during the wars in Afghanistan and Iraq. The 6:30 p.m. event is free and open to the public at the bookstore, 5751 S. Woodlawn Ave.